When our older daughter, Penny, was diagnosed with Down syndrome at birth, it felt daunting to consider the medical, social, educational, and behavioral challenges ahead. I had no idea how much support and encouragement we would receive from family, friends, and the larger community of other parents with kids with Down syndrome, as well as from dedicated and caring therapists, teachers, and medical professionals. Although we have many years to come, and many lessons to learn as we parent Penny and our other children, here are a few pieces of advice that I and other parents of children with Down syndrome can offer. 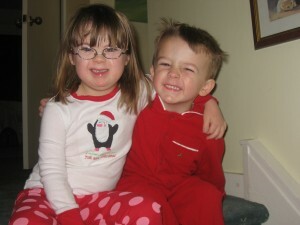 Click here to read the whole article on parents.com: How to Raise a Child with Down Syndrome: Advice and Resources.